Andy is interested in finding ways to bring art into everyday life. His work as co-founder of Floating World Artists Books is centred on public engagement. Floating World has undertaken varied projects in community settings and its books are in major collections including Tate Modern. 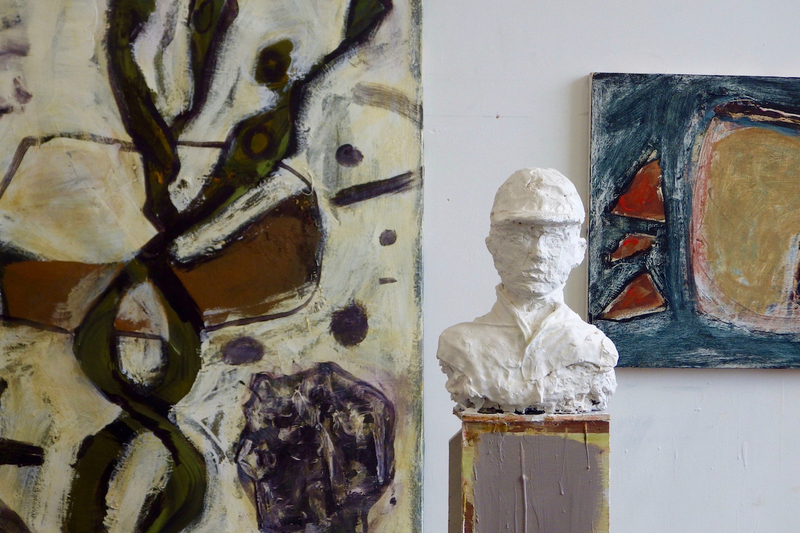 Alongside this publishing and curatorial work he continues to make paintings, books, drawings, prints and sculpture. Since 2009 all of these have been done objectively, from life. 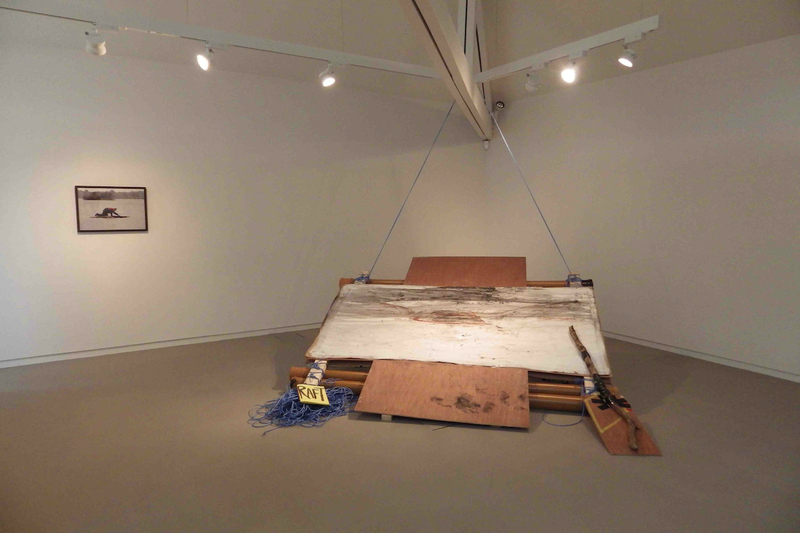 In 2015 he made work that dramatized the difficulty of this methodology by using a drawing board raft to make large scale drawings whilst floating on Lough Gill. In working with Kids’ Own on the Virtually There project Andy explored the idea of working directly from observation, with students creating closely observed self- portraits. These were displayed in a pop-up exhibition in the school alongside one of Andy’s large scale self-portraits. In 2017 Andy started working with The Metal Mariners boat building project in Sligo, recording their work building and restoring boats. This ongoing project has developed into a significant body of work, including over a hundred drawings as well as large scale paintings and sculptures. In August 2018 Andy staged the exhibition ‘Raft’ at the A.P.T Gallery in London. 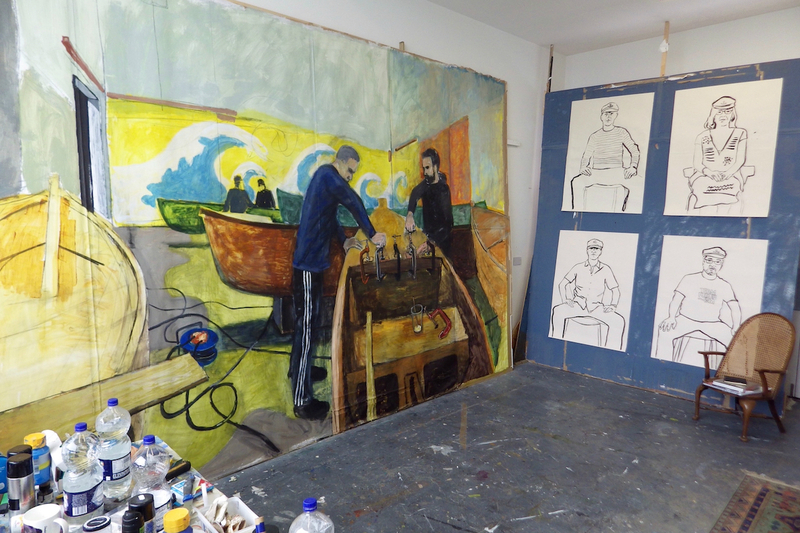 Recent group exhibitions include NCAD Gallery, F.E. McWilliam Gallery, The Model Sligo and the A.P.T Gallery in London. Andy has published silk screen prints with Advanced Graphics London and has works in public and private collections. In 2017 Andy was the recipient of a major award by the Pollock Krasner Foundation in the U.S. aimed at developing and sustaining his practice as an artist.